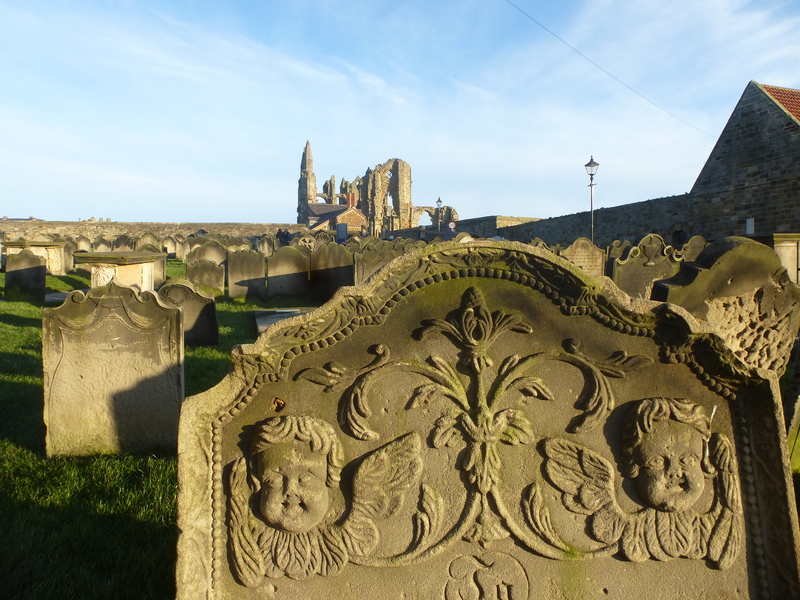 Beautiful light, on a warm tonality for the first time in the year….we drink it up before heading west again back to Leeds acroos the Yorkshire Moors…let’s tank up this marine openness and friendliness, even if this is a churchyard and not a jolly place…it reminds us of another cemetery, San Sego in Croatia, where the graves enjoy the breezy air from the sea. 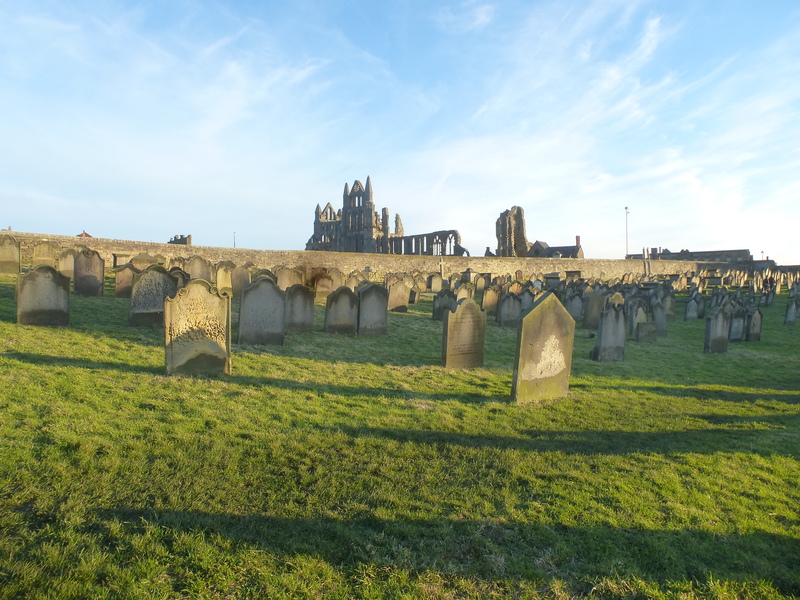 After all, the steampunk weekends are a great thing…and much better than the Dracula narrative which also runs in Whitby (it appears that the fellow landed here). And another thing we discovered! that jet, like in jet black, was actually harvested / mined here…(where is my jet necklace bought in 1998 in the – at that time – somewhat dodgy Izmaelovo flea market outside Moscow?). Oh there are so many photos which I’d love to upload! Taken in Berlin, in NYC, in Dusseldorf at Lorenzo’s concert, and pictures sent by MeinMann from Leeds, and Bolton Abbey…But for some reason, WordPress gives me “error”. So I am a bit frustrated. But life goes on and before I solve this technical problem I feel I need to continue and write, posting those images available on the web which – either because they are very light of for some mysterious random law – wordpress still enables me to upload. This post is about inspiration. For me, inspiration strucks mainly onboard public transport. In the Strassenbahn in the morning, or during a flight. Or, like now, when some snow is still left on the balcony, and Micetta and Mimmino are sleeping in a cuddly way at my feet, next to the sofa – not on the sofa, next to it – one in her beloved cardboard box with pillow and the other one enjoying the warmth of the parquet (the fact that cats prefer cardboard boxes to cat cots is a theorem which has not been demonstrated yet). We had this conversation at Einstein Café in Kurfurstenstrasse with our friends Claudia and Dorit in front of the most magnificient Wiener Mélange* and Kaiserschmarren (*it’s a cappuccino…). We are deeply convinced by this, but the fact that even Spiegel picked it up, tells you that the conviction is now becoming mainstream. We have a blog, but we continue to feed incredibly thick paper books with photos, postcards and traces of our travels and most interesting experiences. Sometimes we sit on the sofa and uncork a certain millésime…such as Austria 1999…or Rotterdam 2015…or Berlin 2002. It is a delightful sensation, especially when we go back in time, to the era when film made taking photos a selective process not a bulimic one. Each start of the year I buy a Moleskine. I am not so disciplined with it, I rarely fill it from start to end with notes and appointments. But it is always precious to have it with me for planning and for triggering inspiration. I cannot plan by looking at an Outlook calendar. It gives me anxiety. So my brand new Moleskine is a thick, pocket-size, baltic blue one. It’s started pretty well, with a lot of notes…I love the color. A few months ago I purchased two identical small transistor radios. One for my father’s shed in the garden, where he spends some time with bricolage. And the other here for Dusseldorf. I leave it on with a low volume, tuned to a local radio station with some talk and some music. I leave it on for my cats when I travel. So they are not bathing in silence. And the analogic little box will never shut down automatically, jump station or go wild with the volume. It is very dependable. Pity I cannot listen on it those stations which can be captured only via web, like RaiRadio3. But I quite like to listen to Deutschlandfunk on analogic, there is a certain airwave frisson to it. And the same happens in Berlin, were we depend upon a transistor radio, and tune it to Deutschlandfunk, JazzRadio Berlin, or to the French or US radios transmitting in Berlin, such as NPR…it feels very pre-1989. My glorious Nordmende is at my parents’, as I do not have the space where to put it…it is my treasured piece of analogic technology, together with my Thorens record player, which is alas orphan of amplifiers…so there’s a to do there, for my 2016 resolutions. From time to time I buy Amica, probably the best italian women’s magazine. Its graphic is clean and it’s not just about fashion. The articles are enjoyable. Recently there was an extensive article about these robots which go from raw vegetable to gourmet dinner in two clicks. In Italy the brand is Bimby. It was an interesting article on this topic, what in Italy we call “un articolo sul costume”, so beyond the appliance itself, rather on the lifestyle implications of it. As for my own lifestyle, I sliced and diced potatoes, carrots and I added red lentils which had been rinsed and soaked in water thoroughly. My hearthy soup is ready. I do not need a robot for that. I quite like to slice and dice, actually. I do not have space yet for another robot. In case I had space, my Nordmende radio would be the first candidate. But I like to buy and read Amica from time to time. It keeps me in touch with a certain italian, bougeois, Zeitgeist. I subscribe to one magazine. It’s called Wald and I discovered it at Munich airport, while coming back from Tegernsee. I rediscovered the joys of subscription since I am in Germany, and my postbox is big enough to contain magazines and subscriptions are not raided by mal-intentionnés as it often happened in Italy, I must admit. But sometimes we receive incredibly crafty digital postcards, like the one sent by our 1/2 Berlinisch/Parisien friends D & JD…and which unfortunately I cannot post here…an expressionist/cubist concoction with inspiring words such as “anders lernen”, “verzaubert”, or “Zeitsprung”. Very inspiring! This slim paperback is one of my favorite books of 2015. I snapped it up during a bookstore raid in Como, a beautiful bookstore located in an ancient mill, in the city center. 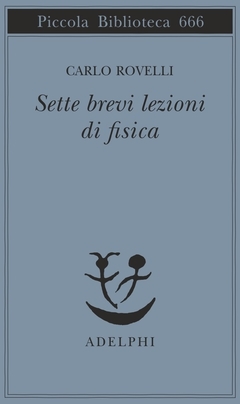 I was visiting our friends G & R in September in Lombardy and on that beautiful sunny Saturday and on my way back to Dusseldorf I started reading Sette brevi lezioni di fisica, the brief and playful essay by Carlo Rovelli published by Adelphi. I was so enthusiastic about this book and the discovery on how pleasant and easy to imagine could be the explanation of physics that I added this book in one of my surprise boxes headed to Leeds to MeinMann…but the parcel had a little accident 😉 – no worries: I have re-purchased the book, obviously! So that also MeinMann can enjoy it…and I am sure he will! Looking forward to our next conversation with our friend Sylvie from Noordwijk! She is someone who can talk about astrophysics in a page-turning way. 2015 marked for me the come-back to post-graduate education. Being back on the books at Harvard was quite an experience. The most unexpected thing was to see the venerable professors picking up chalk and filling blackboards. No slides. Just a couple of transparencies. For the rest: chalk. And handwritten notes. Healthy way to make our brains do an incredible fitness programme. Do I use Amazon? I must admit: only for books which are needed for work, and for impossible-to-find books. The good thing is that behind those impossible-to-find books there are always dependable bookstore behind Amazon, whom I would never have crossed paths with. For the rest, I discovered in 2015 two Verlag – or publishing houses – which I keep an eye on…Guggolz and Distanz. Both are from Berlin. Obviously. For the rest, I love browsing books in bookstores, especially when travelling. This week I was in NYC, I had just a couple of hours of leisure, personal time. 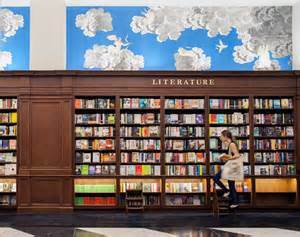 I dedicated them to hunting down the new Rizzoli Bookstore on Broadway. The store is gorgeous: high ceilings, oak shelves, and bespoke wallpaper by Barnaba Fornasetti. No nasty smell from expensive coffee-chains. Just smell of paper and glue. Armchairs. The Italian books selection is poor, and outrageously expensive (L’amica geniale, paperback in Italian, selling for USD 61). But I’m told this will be improved. For fashion and art the bookstore is great. And contemporary fiction. Yes, MeinMann….I must confess it. I have sinned. I bought the newest titles by my favorite spy-story authors: Alain Furst, Philip Kerr, Joseph Kanon. Plus, a new one: David Downing. 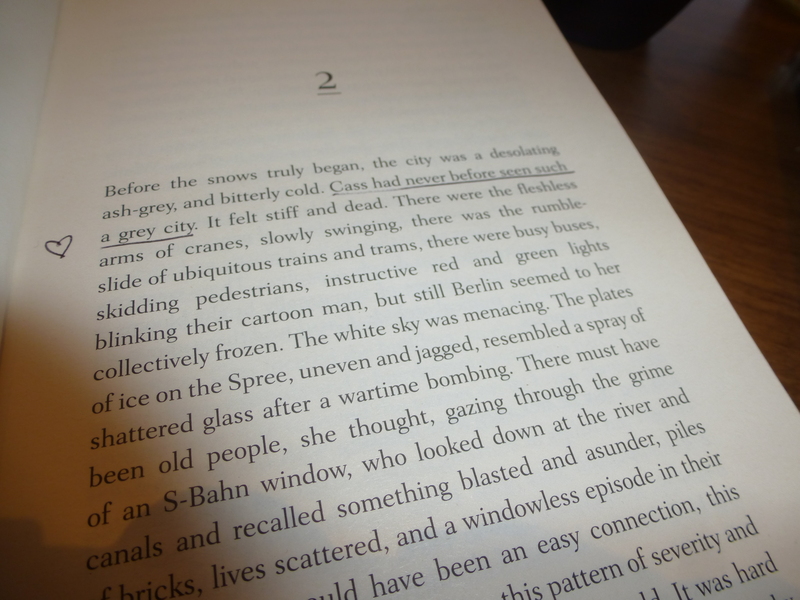 All plots unfold in Berlin, Prague, Warsaw, Istanbul…Plus I discovered a contemporary author, Ludmila Ulitskaya. I am now reading “Zoo Station” by David Downing. What a pleasure, to make myself cosy at Inday, on an icy NYC evening, tucking into a healthy rice-based indian dish (and not being the only one having dinner alone), in a friendly atmosphere with good lighting, and starting the Zoo Station page-turner…following with a brisk walk to the other side of the Flatiron, down to Park Ave – do you remember, MeinMann, the beautiful Christmas with Lys? – and Union Square, and ending up at Iris Nails, my favorite place between Union and Washington Square, getting pampered in a comfortable armchair, while keeping on reading Zoo Station…away from the boring and garish Fifth Ave. Since we’re in Germany, we are more and more attracted by live music. Sometimes in the evening it is easier to indulge in this cultural delicacy, as opposed to theater, the language is a pleasure when one is top fit and alert, but music allows for a much more a direct and immediate absorption. The show is a jewel, from a musical and visual point of view, be it videos, light effects, costumes. I love his music since when we were both 15, and he was a young and cheeky DJ, that means I’ve been following him for the past 34 years. The songwriting has become even more interesting over time, and the music métissage is always surprising and fresh. He writes songs about love: I like that. He writes song about Summer – the kind of Italian Summer that only if you grew up in Italy and went to school you can understand what I mean. And the man knows how to dance, and make you dance. These are all very important things. Actually, there are only two songwriters-singers-performers whose dancing I like. Lorenzo Cherubini and Dave Gahan. But Lorenzo has the added appeal of looking not like a rockstar. Reading in my mother tongue is now a treat. 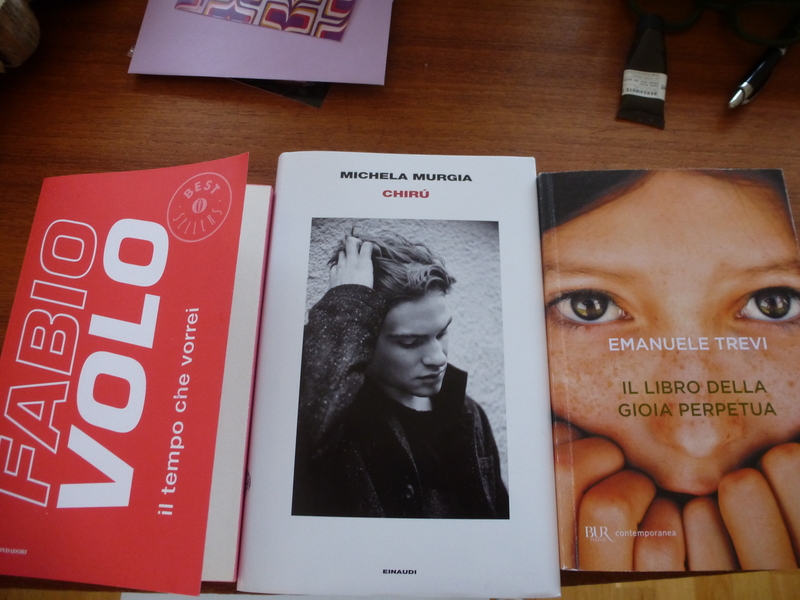 On one hand there are no good italian bookstores abroad. Or maybe I did not find them. So sometimes my purchases are a bit random. Not in the mood for re-reading Calvino, Eco and a few other foreign bookstore blockbusters, I sometimes pick what I find. I read a novel by Fabio Volo. Yes I did. Actually, it is quite good. 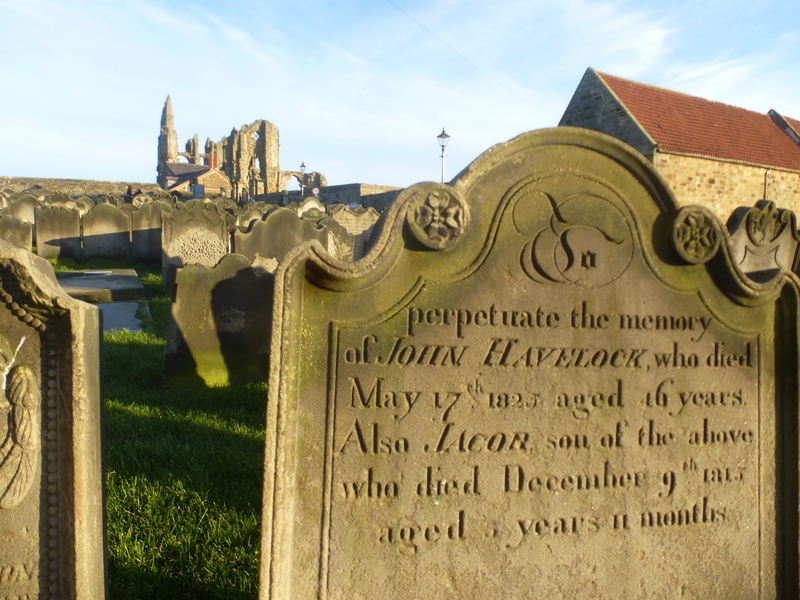 It is not a happy-end novel, if you don’t mind a bit of a spoiler. It depicts quite well a generation. The reader, even if not feeling close to the main character, will remember what it was to be a teenager in the 80s, a young adult in the 90s. The plot is quite interesting. I never thought I would recommend a book by Fabio Volo, a furbacchione who cleverly has mixed tv, radio, novel writing and celebrity status. The book is good. Buy it. I am starting Emanuele Trevi’s book as my bedtime one. It is a bit weird and reminds me of trips to Campania dating back to a decade or so. Actually, I do miss Naples. So this is why this book is slowly by slowly getting under my skin. It is a bit hypnotic therefore I am not doing great progress, I tend to fall into slumber after a few pages. But this is what I call a bedtime book. I like Michela Murgia. She is outspoken and is one of the few italian women role models I can recognize today. Here the pace of the narration is also quiet, but the quietness is also restless, like a Montalbano detective movie. And like in Montalbano, there is food, there are relationships which are like ebb and flow, there is an island (Sardinia) and there’s the golden light of Rome, we may even say slutty Rome, with her seduction off the shelf always ready to please first come, first served. I read a very beautiful passage yesterday. It describes what the velvet by Visconti di Modrone stands for. Marvellous. 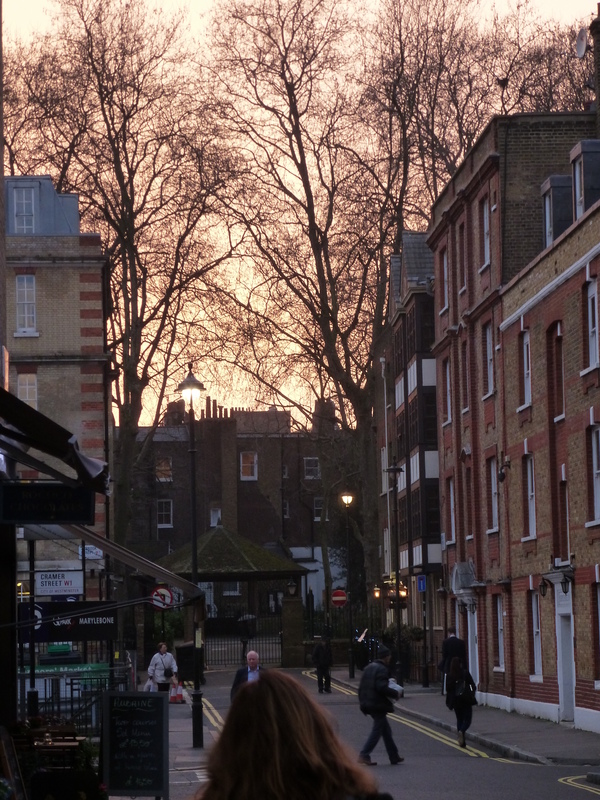 On my way to one of my favorite spots in London: Daunt Books! 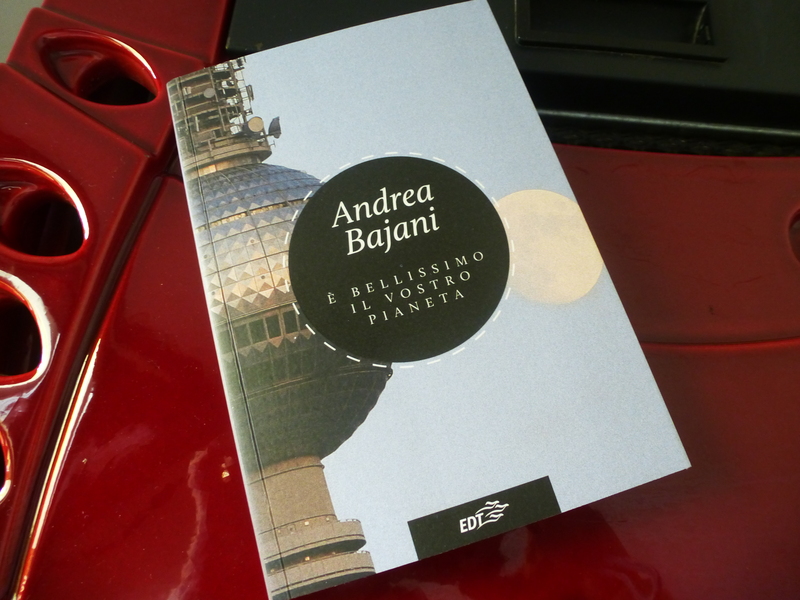 A cute little book by Andrea Bajani about one year spent in Berlin. 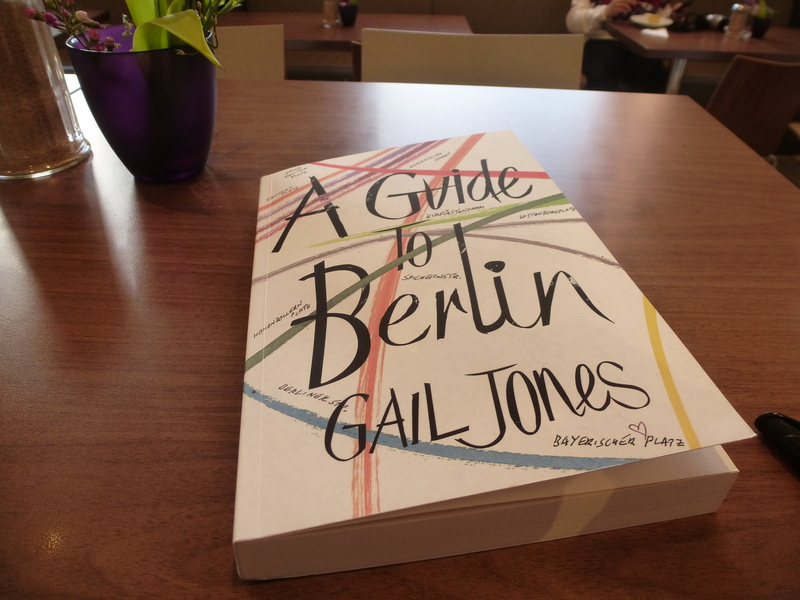 In Fall 2013 the author hits the Autostrada and then the Autobahn with wife and daughter and lands in Berlin with an assignment to write a book about the city and its inhabitants – and mainly about its food. 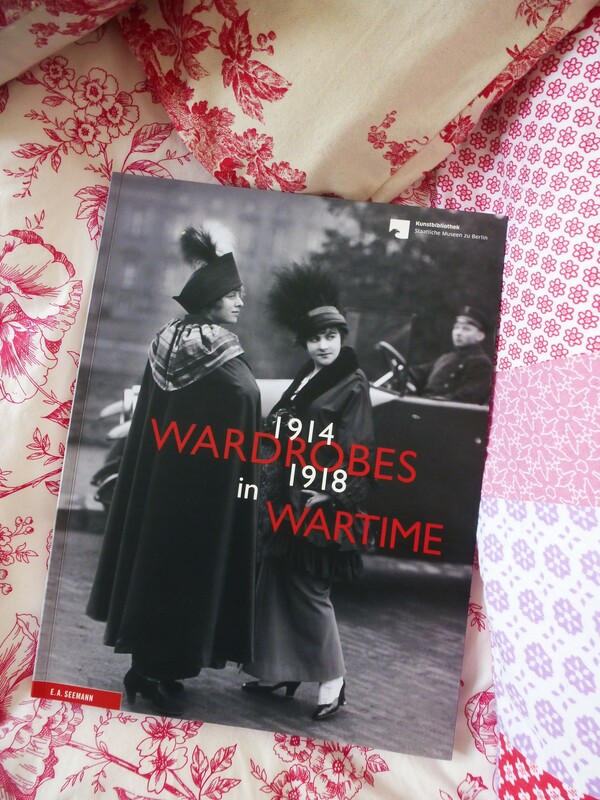 In Berlin, at the Kulturbibliothek at Kulturforum there is now an exhibition on fashion in WWI: Krieg und Kleider. WWI is a not so investigated period of fashion. 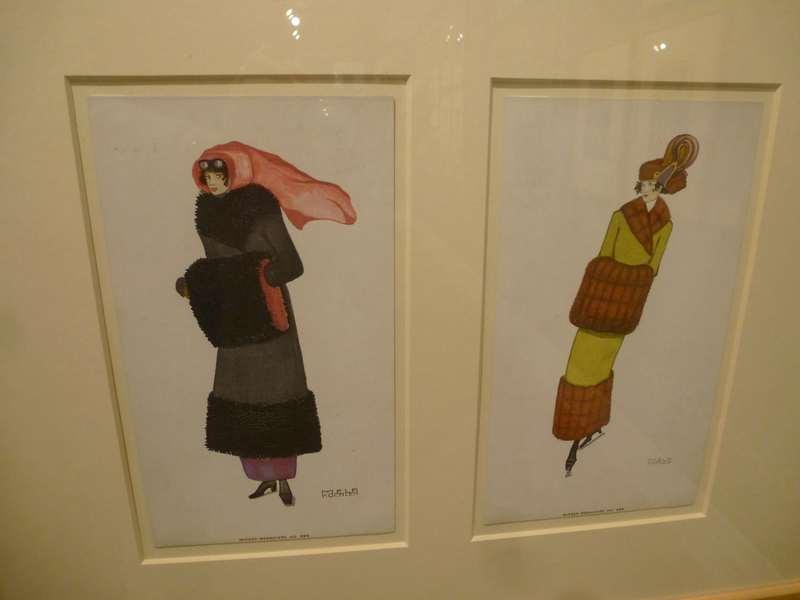 We know everything about Belle Epoque and Flappers, but the gyrations of fashion during the first conflict of the XXth century are less investigated. Propaganda played a big role: first, expanding gowns and adding frills, a sort of forced cheerfulness. Later, adopting a more plain style, in field gray and establishing by decree that black is a fashionable color. There were simply too many widows around. And they had to work, all of them. Frills were unpractical. What is sure, it is during WWI that skirts get shorter – even if still below the knee – and this is a given. Women were no longer entravées. The exhibition focuses on Berlin, Vienna and Paris. 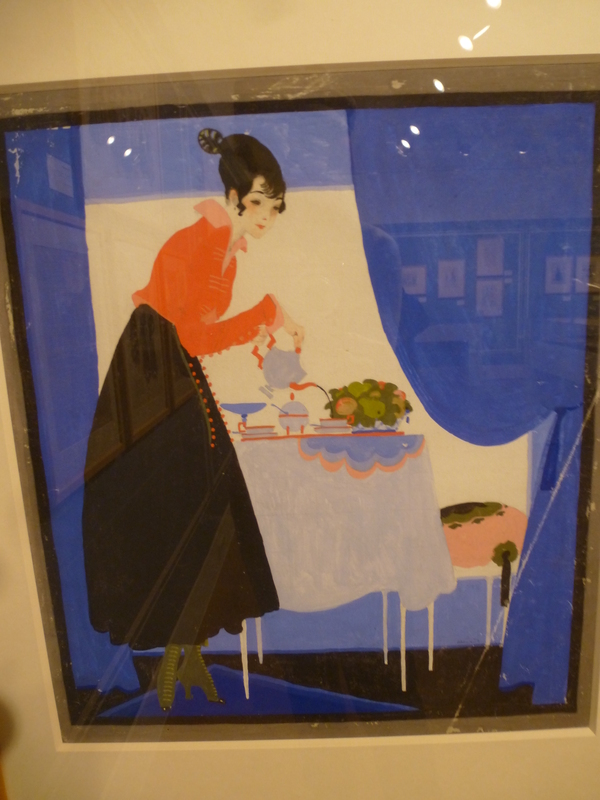 Of all the illustrations shown in the exhibition, some surprised me for their ability to express the Zeitgeist, well beyond the fashion aspect. 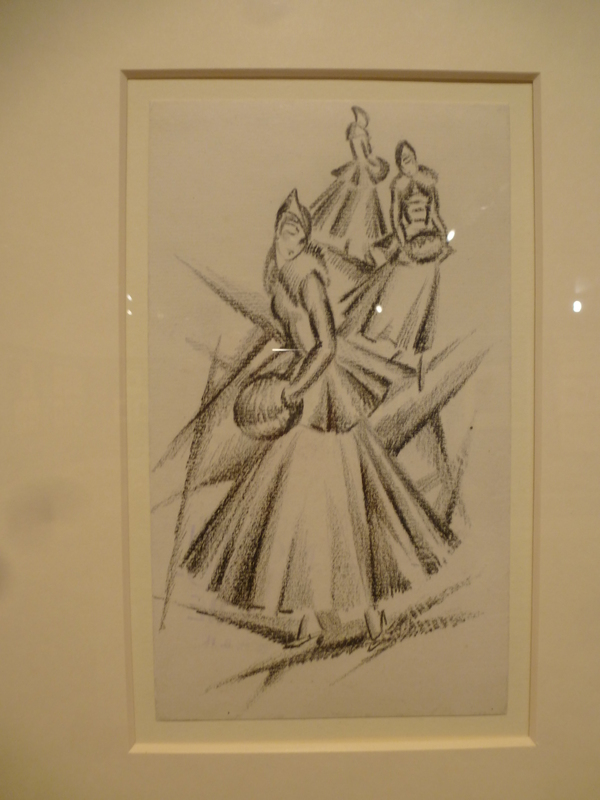 Shouldn’t this croquis be exposed at Die Bruecke Museum, in between all the Kirchner? And there are some coats which I find covetable, today! And the influence of Matisse on the Mario Testinos and Patrick Demarcheliers of the time…? The exhibition is small and extremely intriguing. But it is the catalogue which makes the difference, thanks to the very well documented contributions and the whole social background. Relations between men and women were changing fast. Women for the very first time were taking care of men who were neither their patients nor their husbands. The nurse uniform – for the civilian and for the militar purposes, different skirt lenghts! – influenced fashion in the same way as the soldier’s. Wiener Werkstaette, Constructivism start to introduce color blocking …but that’s the perfect connection to another exhibition in Berlin…WChUTEMAS.